All Treatments mus be paid for in cash. Thank you. Dr. Yosef Resnick, H.M.D., MSEd is our new holistic practitioner. Dr. Resnick practices a unique form of acupuessure;it is only performed on the outer surface of the ear. You remain fully clothed, sitting in a chair. You can even sip a cup of freshly-brewed Chinese herbal tea during the treatment, if you like! He also integrates several other very unique holistic modalities, such as energy healing, Chinese healing meditation, Sujok Korean hand acupressure, E.F.T., Chinese herbal tea therapy & chroma-therapy. Addressing most common health complaints; digestive issues, headaches, ADD/ADHD & other childhood issues, smoking & weight issues, stress/anxiety, & more. This state of the art professional amethyst technology is unlike any other electric product. Instead of using coils to create heat, it uses a combination of fabrics and amethyst stones to generate far infrared rays which then transfer to the body as heat. Far infrared rays warm the inside of your body and the part of your body making contact witht he Biomat. Infrared rays can penetrate up to 6 inches into the body. Therefore theses rays not only benefit the muscles on the surface of the body, but all cells, blood vessels, lymph glands and nerves in the deepest part of the body. Treatements available in 30, 45 and 60 minute sessions. We have all experienced pain in our lives; emotional, physical, mental, and/or spiritual. Integrated Energy Therapy, (IET) teaches us that this pain can be stored in the body and creates interference with our life in the present. This is often described as a "weight" Parts of the body store different feelings, such as guilt, distrust, fear, powerlessness, and anger. IET helps you to let go of the old, negative energy and replace it with the positive energy of trust, innocence, love, forgiveness and safety. In a typical treatment session, the client remains fully clothed and lies on a massage table in an atmosphere of dim lighting and soft, soothing music. Flower Essences are vibrational therapy that treats the person, not just the ailment, and gets to the core of the problem. To put it simply, when a person is "out of balance" either emotionally or physically, essences can adjust that vibration bringing back the healthy life force. Consultation fee: $30/half hour; $60/hour. 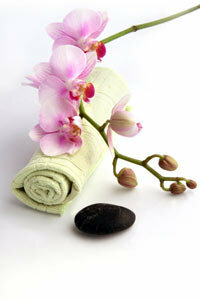 Massage plays a vital role in reducing stress and strengthening greater health and peace of mind. Massage is more than a luxury; it is an essential means of maintaining a healthy body and healthy mind. Call the following therapists directly for an appointment. All massages are for therapeutic purposes. Reiki is a Japanese technique administered by a "laying on hands" that promotes healing through stress reduction and relaxation. It is based on the idea that if one's life force energy — an unseen energy that flows through us — is low, then we are more likely to become sick or feel stressed. Reiki may improve the results of traditional medical treatment by reducing side effects and shorten healing time. Reiki treatment may reduce or eliminate pain, reduce stress, and help create a sense of well being and optimism. “We have found that the Teasel flower essences, when used with a simple, hands-on energy process, can reverse the debilitating symptoms of Lyme. Many people have found relief and a way back to a normal life through this treatment process. Now in its third year of research using 100 practitioners, this process has yielded consistent success, with many clients even testing Lyme-free after only a few treatments." Most clients see an improvement in symptoms after a single treatment. They also experience shifts in their energy level, as well as relief in pain and stiffness. Regularly scheduled treatments are recommended until the client remains symptom free for an extended period of time. This varies from person to person, depending on the depth of infection and on their lifestyle. The average number of treatments required is usually 5 -10 sessions. When It Comes To Detoxification, You Are What You Don't Excrete! Certainly, the path to wellness is through proper nutrition, exercise, and stress management. However, detoxification is vital. At the Alternatives For Health Wellness Center we offer high quality detoxification services. Services are offered by appointment only. Please call 508-347-2111. 24-hour notice is required for all cancellations. A $15 cancellation fee may be charged. Ionic Foot Treatment: Every day, our bodies come in contact with parasites, heavy metals, pollution and other aggravations. Heavy metals in particular can cause a host of dysfunctions in the body, from gallstones to fatigue to muscular disorders. Cleansing the body and eliminating these toxins is one of the best ways to improve your health. During the foot treatment you sit comfortably with your feet in water. The ionic machine changes the vibration of the water to draw toxins you’re your organs. This treatment may be repeated 3 times a week as necessary. Detoxification can give you numerous benefits. $35. Ear Coning: An ear candle, sometimes called an ear cone, is a long hollow tube tapered to a hand-finished tip that fits comfortably into the outer ear canal. The large end of the candle is lit and the smoke created spirals down through the ear canal. The warmth of the smoke gently dislodges foreign debris, softens old earwax and helps evaporate excess moisture. Ear Candles are believed to help relieve earache pain, provide relief from pressure in the sinuses and allow the ear to naturally push out the old earwax. Includes Ear cones, Coning session, and Mullein Oil treatment. $40.